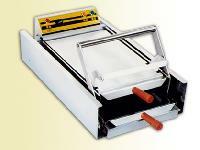 Simple And Compact Patty Press With Rounded Design. 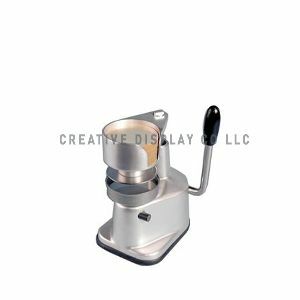 - Made From Anodized Aluminium Alloy. - Built-in Sheets Holder. 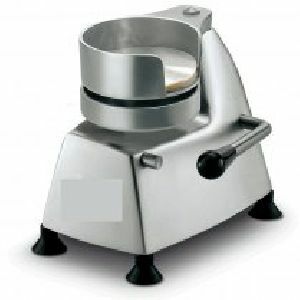 - Stainless Steel Mold Hamburger. - Rubber Feet. This machine can keep automatic constant temperature and heat up through the heating pad under time switch without any touch. With fast speed of heating up, it can bake 24 burgers (12 pieces for upper layer and 12 pieces for lower layer). It is the best choice of the fast food industry. 24 pieces of toast or 24 burgers for one minute.